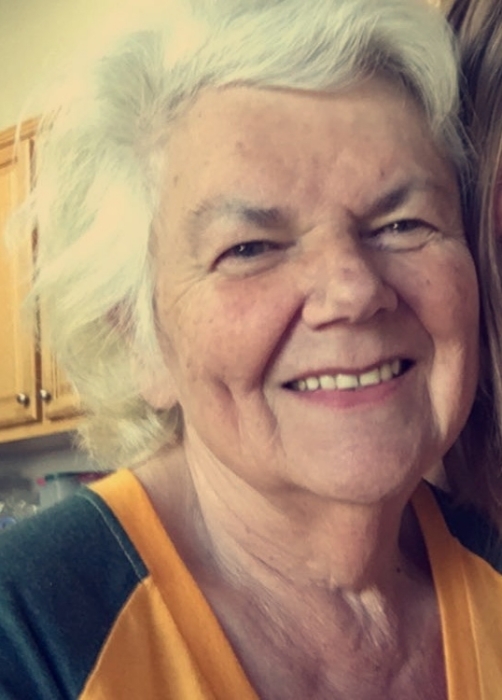 Carol Ann Pacuta, 76 of Prineville passed away Wednesday, August 29, 2018, at her home in Prineville, Ore. surrounded by her loving family. Carol was born November 8, 1941 in Trenton, New Jersey to Harry Mahan and Muriel Morsch. She attended Trenton High school, where she graduated in 1958. Carol was a customer service and production manager in the aluminum industry for 35 years in Watsonville, Cali. Carol was the most loving and caring person to everyone she met. She always had a welcoming and generous heart. You would never hear a bad word about anyone or anything come out of her mouth, unless you were a 49ers fan, as she was an avid Raiders fan. Carol made it to every Raiders game she could, and with this kind of dedication to her team she became known as “Raider granny”. She also loved her grandkids and their sports. She made it to every sporting event she could, if it were up to her she would never miss a game or tournament. Her best friend was her husband Stephen whom she loved to travel with. When Carol was home her favorite things to do were spending time with her grandkids, and cooking large meals for her entire family to enjoy. She is survived by her husband, Stephen Pacuta, her daughters, Sheryl Allgood(Howard), Stacey McCallister, Karen Bushnell(Scott Warembourg), her dog Taffee, her brother Hank Mahan, grandkids, Kristen Christophel, Nicole Allgood, Stephen McCallister, Eric McCallister, Jennifer McCallister, Ashlee Dehler(Joe), Cody Russell, Trevor Russell and her 3 great grandchildren. Carol was proceeded in death by her parents Harry and Muriel. Memorial contributions may be made to the Alzheimer’s association through Juniper Ridge Funeral Home.